Plus… Halloween overlays coming to several attractions at Magic Kingdom Park during Party hours, construction update on Ratatouille, and more! 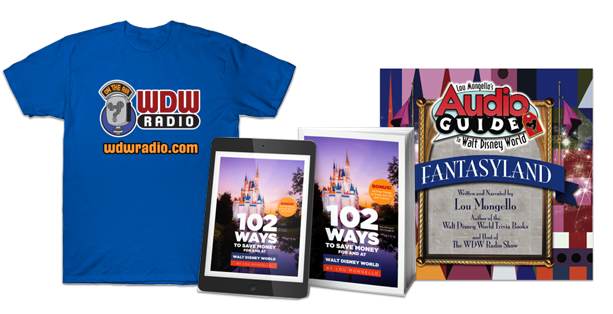 It’s time to take a break from the dog days of summer and unwind with the June 2018 Edition of the WDW Radio Newswire! We begin this edition of the Newswire at Disney’s Hollywood Studios, where the location of the Star Wars-inspired Resort has been officially confirmed by Disney. The new Resort will take shape on the south side of Disney’s Hollywood Studios, just east of World Drive. The Resort will allow seamless access into Star Wars: Galaxy’s Edge, creating a truly immersive experience for Guests of all ages. Many other aspects of the Star Wars Resort are sure to entrench you in the adventurous experience. Upon arrival, Guests will board a starship for a voyage through space. To help sell this experience, the lodging cabins will all be equipped with picturesque window views out into space. The ship will be alive with colorful characters from the Star Wars Galaxy, and Guests staying at the Resort for multiple days will even be allowed to dress in Star Wars-inspired attire! The opening of the Star Wars Resort is still a ways off, as no official opening date has been announced by Disney at this time. Star Wars: Galaxy’s Edge does have an official opening date however, as it’s scheduled to take flight in “Fall 2019” at Disney’s Hollywood Studios. For more news out of DHS, let’s venture over to Toy Story Land. Plans are still on track for the June 30 opening later this month, as ride vehicle tests and cast member previews have been taking place the past couple weeks. The finishing touches have been applied, and Woody and the gang are ready to welcome you to their world! One of these finishing touches was the announcement of the menu for Woody’s Lunchbox. The walk-up window will feature a delicious array of foods and beverages, including the hearty BBQ Brisket Melt ($12.99) and the mouth-watering Monte Cristo with Raspberry Jam ($11.49). Other menu items include the Grilled Three-Cheese Sandwich ($8.99) and the Smoked Turkey Sandwich ($9.99). All of these entrees come with your choice of side, with options including potato barrels, tomato basil soup, and vegetable pasta salad. Also on the menu is “Totchos” ($8.99), which is a taste-pleasing mix of potato barrels, corn chips, chili, cheese, and sour cream. Breakfast is also served at Woody’s Lunchbox, with highlights including the S’more French Toast Breakfast Sandwich ($7.99), the Breakfast Bowl topped with Country Gravy ($8.49), and the Smoked Turkey, Eggs, Swiss, Onions, and Peppers on Sourdough ($7.49). Woody’s Lunchbox officially opens for business along with the rest of Toy Story Land on Saturday, June 30! Time to hop over to Epcot now for an update on the Ratatouille attraction currently under construction at the France Pavilion. Vertical construction has been ongoing at the site for about two months now. There’s still quite a bit of work to be done, but the steel frame of the attraction building is rapidly taking shape. Estimates put the opening date at “Spring 2020”; however, there has been no word from Disney as to an official opening date for the attraction. Time to board the Monorail for Magic Kingdom Park now, and as we do it’s worth noting there’s a new wrap on Monorail Orange celebrating the release of Incredibles 2! The ”Incredi–rail” was spotted last week on the Epcot beam, so be sure to keep an eye out for it throughout the Summer at WDW Resort! Okay, now onto Magic Kingdom Park. We may be in the midst of the sweltering Summer season, but it’s never too early to look ahead to Halloween, especially since the first edition of the 2018 Mickey’s Not-So-Scary Halloween Party is set for Friday, August 17! Several MK attractions will be undergoing temporary transformations during the Halloween Party hours. The Mad Tea Party will be receiving eerie lighting and other “special” effects. Special effects and a spooky new soundtrack will be present at Space Mountain. Adventure also awaits at Pirates of the Caribbean, as Pirates invade your vessel and recruit you to help in the search for “Gunpowder Pete.” Finally, Storybook Circus will play host to the Storybook Circus Disney Junior Jam, a fun dance party featuring Disney Junior pals that the little ones are sure to enjoy. Mickey’s Not-So Scary Halloween Party takes place on select nights at MK from Friday, August 17 through Wednesday, October 31. Well, that’s gonna do it for the June 2018 Edition of the WDW Radio Newswire. But I’ll be back again next month with lots more news, notes, and happenings from Walt’s beloved Florida Project! 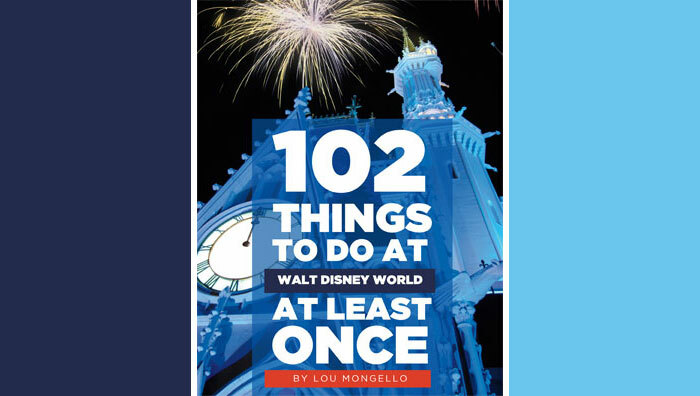 To learn more about Don and read his recent posts for WDW Radio, visit his author page by clicking the link on his name at the top of this post.